The next two quilt blocks in the Patron Saint Quilts series are up: Blessed Pope John Paul II and St. Mary Margaret Alacoque. Christmas: Is this all there is? But, I am bold enough to say it makes little or no sense to have this holly, jolly, splashy Christmas eve and day with weeks leading up to it in almost a frenzied pace, and not remember what it is really all about. It’s the birth of a baby chosen by God to live not too many years but enough of them with example and teaching. Those who are wise enough to understand the benefits of a good life have such happy ones. If our few years on Earth are led without cruelty, crime or callousness, we will have an eternity of peace. 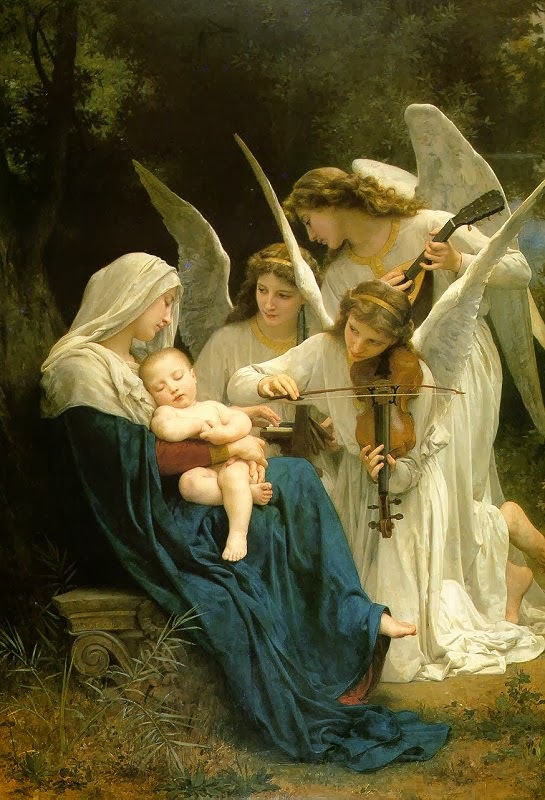 Too many of us neglect to do what the Christ child was sent to teach us – to keep peace in our minds, love in our hearts and faith in our souls. While I have read my share of Amish fiction, I've never read any Shaker fiction before. The inviting cover and title of "Christmas at Harmony Hill" grabbed my attention, however, and I am so glad that it did. It tells the story of Heather Worth, a young married woman during the waning days of the Civil War. Her father, a southerner, turned her out when she fell in love with a northerner. She married Gideon and followed him into battle as a washer-woman. Heavy with child, her husband tells her she has to go home. He is convinced her family will not turn her away in this condition. Unfortunately, he is wrong. Her mother and two brothers have died, hardening her father's heart even more. But her mother had written her one last letter before she died directing Heather to seek refuge in a nearby Shaker community where her Aunt Seraphina lives. The remainder of the story focuses on her time there, the changes in her aunt, as well as her husband's quest to survive the war and return to her. This is a touching story - keep the Kleenex handy! - and I absolutely loved it. 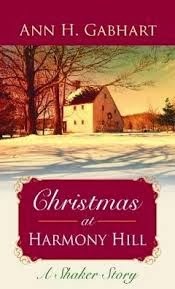 "Christmas at Harmony Hill" is wonderful historical woman's fiction that would be enjoyable any time of year. I will definitely be checking out other books by this author. 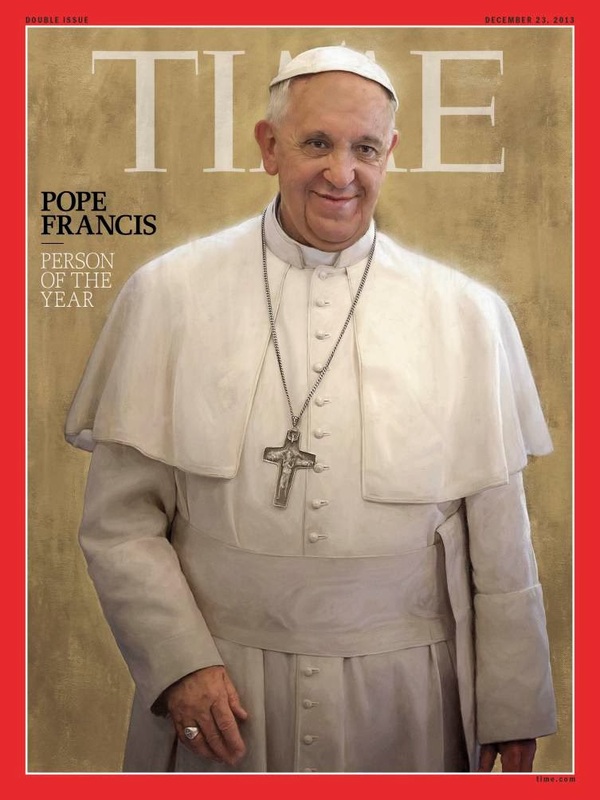 I just finished reading the feature article on Pope Francis in Time Magazine. I love the choice of Pope Francis and I thought the article was well-written and reasonably balanced. I'm sure other writers will dissect it thoroughly and I will leave that to them. What I want to draw attention to is the art behind the cover. Honestly, I thought it was a photograph until I read a sidebar in the magazine that said to find out more about how the painting was created, I could go online at: Behind Person of the Year Cover. It is actually a digital painting that took over 70 hours for artist Jason Seiler to create. The process is truly amazing - every bit as involved as creating a work on canvas. Seiler created an incredible work of art that radiates the joy of our humble pontiff. To be perfectly honest, reading College-Prep Homeschooling: Your Complete Guide to Homeschooling through High School completely stressed me out. That doesn't mean that it shouldn't be read, however. Dr. David P. Byers is a college professor with a Ph.D. in education as well as a homeschool dad. He writes from the perspective of what he expects from his college students. It is a good, but demanding, perspective. Chandra Byers offers the homeschool mom point of view. 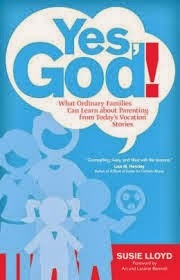 The couple has six children with two who, as of the writing of this book, had homeschooled through high school. 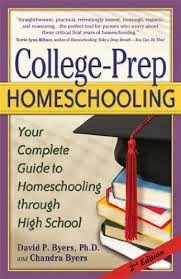 Topics in this book include are making the decision to homeschool through high school, what should be taught in high school, and how to prepare for college. They offer concrete information on how to create a high school program, including how to create course descriptions and write educational objectives. Keeping adequate records and developing transcripts is also covered. This is an info-heavy book, but definitely worth reading if you plan to homeschool through high school. "The Christmas Candle", a classic Christmas story by best-selling Christian author Max Lucado, was originally published in 2006 but has been reissued to coincide with the movie version, currently in select theaters. Set in the small town of Gladstone in 1864 England, it is a story of Christmas miracles. Every twenty-five years for the past 200 years, the town candlemaker (which has been a member of the same family) has been visited by an angel that lights one special candle. The candle-maker then chooses one family in need of a miracle to bestow the candle upon with the direction to light the candle and pray. Reverend Richmond is the new preacher in town, taking over for a Reverend who had served for fifty years. Even though he is a person of faith, due to a personal tragedy in his own life, he is a man without much faith in miracles. He refuses to preach on the candle (even though this is the year the angel is expected) and doesn't really fit in with the community. 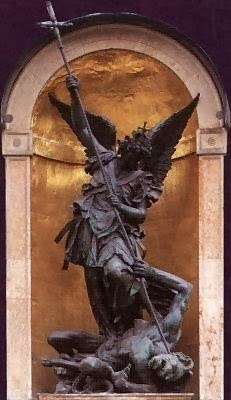 With or without his endorsement, however, the angel will arrive. Meanwhile the candlemaker has his own problems. He and his wife, both far along in years, are in need of their own miracle, and don't know what to do about all the people coming to them begging for the candle for their own needs. 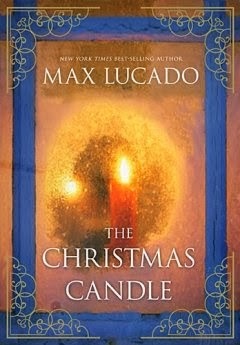 "The Christmas Candle" is a beautiful Christmas novella, perfect for enjoying during the Christmas season. I admit that welcoming individuals with developmental disabilities into our Church isn't something that has been on my radar, but it should be. A recent article in US Catholic, Real Presence, brought these issues to my attention. Obviously, the Church exists for everyone and should be accessible and welcoming to everyone. My parish does have ramps into the entrance and dedicated handicapped seating, but you need someone to open the door (there is no automatic button). There are also stairs to get to the altar which would prevent some from serving on the altar in any capacity. We definitely have some individuals with developmental disabilities that attend our Masses and I think the parish is welcoming, but obviously there is much more that can be done. One area that is very important to make accommodations is in religious education. The National Catholic Partnership on Disability offers many resources, including for those who are on the Autism spectrum. Ultimately, though, the responsibility lays with each one of us to be welcoming to each person who walks into our churches. We may not be able to personally do anything about physical barriers, but we can do everything about our attitude. Looking for a light, clean Christmas romance to help you enjoy the season? 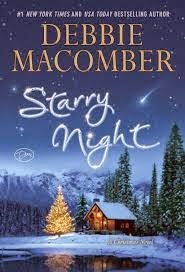 Starry Night by Debbie Macomber is like savoring a sweet piece of chocolate. Carrie Slayton, a Chicago journalist eager to get off the society page and start reporting hard news, sets out to find and interview the elusive Finn Dalton, a best-selling author who happens to be a recluse who lives in the Alaskan wilderness. After Carrie falls for Finn, she faces the choice of advancing her career or hoping for a romance with a man who doesn't seem to want her. This is a quick read, perfect for a one-night adventure, curled up under a warm quilt with a cup of hot chocolate at the ready. 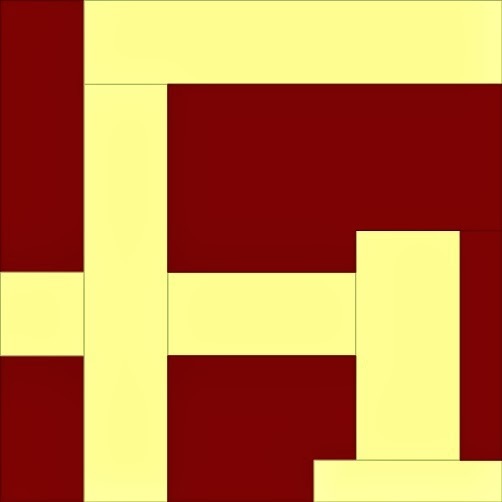 I've finished the quilt patterns that had been requested. Up on the Patron Saint Quilt Blog are quilt blocks in honor of Sts. Perpetua and Felicity, St. Elizabeth from the Bible, and St. Maria Goretti. 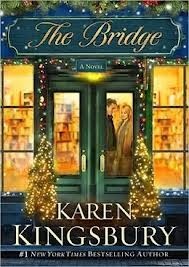 The Bridge by New York Times' bestselling author Karen Kingsbury intertwines two stories in a beautiful Christmas tale about second chances. Charlie and Donna Barton are a kind older couple who have run The Bridge, a small-town bookstore, for thirty years, but a flood has done in both the business and their lives. Desperate and broke with no hope of rebuilding the business, they don't know where to turn for help. Ryan Kelly and Molly Allen were once college students who sought shelter and sanctuary in the familiar confines of The Bridge. They were in love, but due to involvements with other people back home, never admitted it. Now it's seven years later, and they are both filled with regret but feel there is no way to change the way things are. This is a sweet Christmas story about second chances and miracles that brought me to tears several times. It is a wonderful short book for anyone who loves bookstores or a gentle romance. Some stuffed animals and dolls, like the Velveteen Rabbit, become more than mere playthings. In their own way, though they may lose their outward beauty, they become real. These are the toys that this book captures. In honor of that, I thought I'd share the stories of three beloved friends from my own life. This is my doll, Alise. She is about 40 years old. 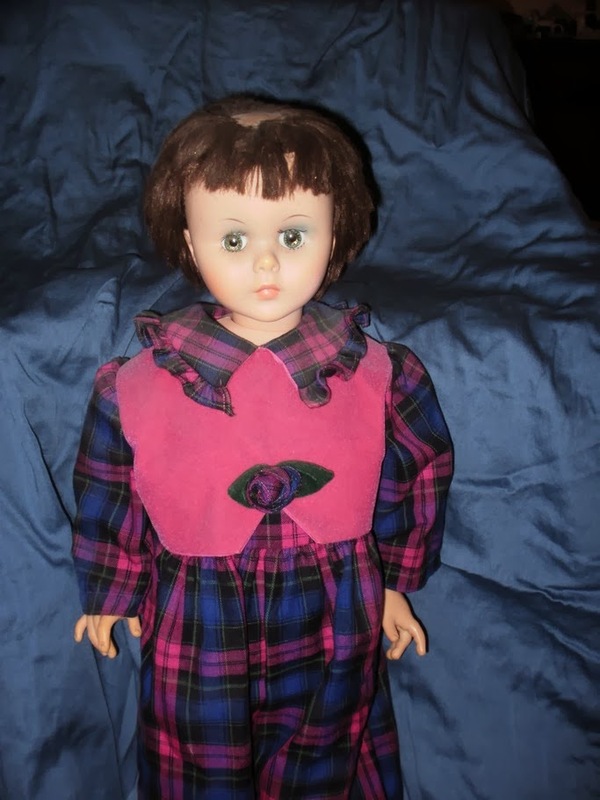 She was originally my older sister's doll. My parents gave her to her on her 9th birthday (I would be born 6 months later). When I was two, my mom put her in my crib to keep me company. I promptly pulled some of the hair out of her head and pulled out all her eyelashes. Needless to say, when my sister came home, she was not amused, but from that day forward Alise became my doll. She was more than doll, though. She was part of the family, the little sister I didn't have. She went everywhere with me that I could possibly bring her and I slept with her until I was eleven. When I broke my arm when I was eight, my Dad made a sling for her as well. We periodically bought her new clothes and shoes and replaced her eyelashes and reinserted her arms and legs when they would fall out. I loved her with all of my heart. She's too fragile to be played with by a child anymore, but I still have her and plan to keep her as long as I live! 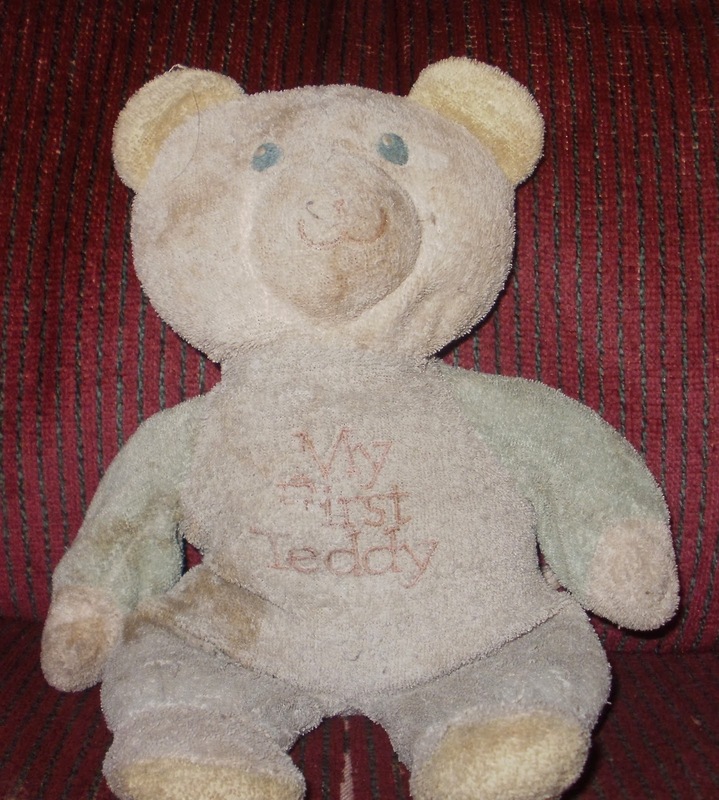 This is Teddy, David's (age 12 1/2) bear. Teddy shares his birthday with Isaac, who recently turned eleven. My parents brought him with them when they came to see me in the hospital. Isaac's newborn photo has him holding this bear, but David who was a year-and-a-half soon claimed him as his own, and has loved him ever since. 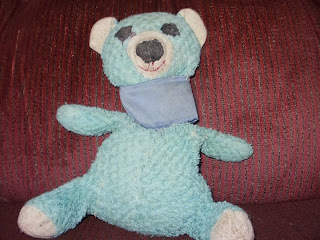 But, lest you worry that Isaac was deprived of a stuffed friend, this is Blue, perhaps the most loved bear of them all. Blue came in an Easter Basket from his Grandma when he was maybe two or three years old and the two became fast friends. I can't even tell you how many surgeries this poor bear has been through. I replaced his eyes and nose and gave him a new mouth and a neck brace because there was literally no more fabric to hold his neck together. Do you (or your child) have a favorite toy that has become "real?" If so, I invite you to share your story in the blog comments. Who knows why certain toys become the best of friends, while others sit on a shelf, but I am so thankful for these three who brought so much joy to my and my children's lives. 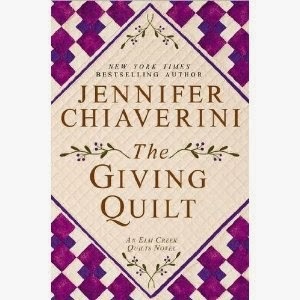 I've been a fan of Jennifer Chiaverini's novels for a long time and The Giving Quilt from the Elm Creek Quilts Series (Penguin Group, 2012) lives up to the quality I've come to expect and enjoy. While this is a Thanksgiving-themed novel, it is appropriate to read any time of year. The ladies of Elm Creek Manor are hosting Quiltsgiving - a time for quilters to gather and make quilts to donate to Project Linus, a national organization dedicated to providing for children in need through the gift of blankets, quilts, and afghans. The novel focuses on the individual stories of several of the attendees and what has brought them to Quiltsgiving. Pauline is a member of an exclusive quilting group where she no longer feels welcome. Linnea is a librarian fighting to keep her library open in tough economic times. Michaela is a college student whose dreams of becoming a cheerleading coach seem to have bitten the dust. Jocelyn is a young widow, mother, and teacher, struggling to rebuild her life after the sudden death of her husband, and Karen who is facing her fears and embarrassment, returning to Elm Creek Manor after failing to garner a position as a quilt teacher there a few years before. As these women become friends, share their stories, and work on their quilts, they will each make some self-discoveries and grow in the process. This is an uplifting, enjoyable read - perfect for anyone who enjoys quilting or positive-themed women's fiction. Here is a great idea for Black Friday! The Thanksgiving Holiday often gives us the opportunity to see people we might not otherwise be in contact with throughout the year. It provides a great chance to record some family stories that might otherwise be lost. You can record your stories and share them online at National Day of Listening, but even if you don't want to share them publicly it is a wonderful idea to preserve these stories for future generations. Here is a list of great questions to get the conversation started: http://nationaldayoflistening.org/great-questions-list/ (These would also make great prompts for journal entries if you are more a writing rather than recording type person). Are you Shopping on Amazon this Christmas Season? In many ways, the title of Cindy West’s new book, Homeschooling Gifted and Advanced Learners, is a misnomer. West does discuss the special needs and challenges of gifted students, but this book is much more than that – it is a how-to manual for homeschooling, and a how-to manual every homeschooling parent will be able to benefit from. West, a 15-year homeschool veteran with three children, provides an overview of homeschooling and the different approaches to the task of educating one’s children. She discusses choosing curriculum, meeting the needs of various grade levels in one home, organizing a homeschool day, keeping records, and planning for college. 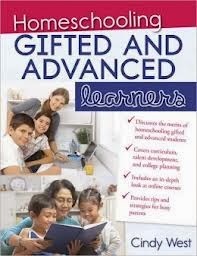 And while this book is devoted to the needs of the gifted, West understands that these same children may struggle in one or more areas and suggests ways to help struggling learners in every subject. She also offers many lists of resources and ideas. One of the best lists is “100 Things to Do If I’m Bored” – every parent should photocopy and post this list in their homes to point to when the need arises! Homeschooling Gifted and Advanced Learners should be in the reading pile of every homeschooler searching for new ideas on how to have a better homeschool experience. 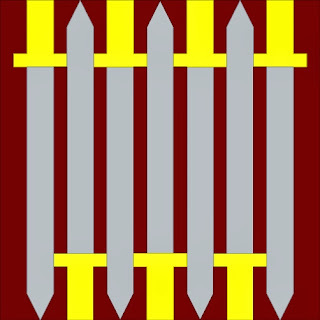 A reader wrote me and asked me to design six patron saint quilt blocks for her. The first is in honor of St. Michael the Archangel. 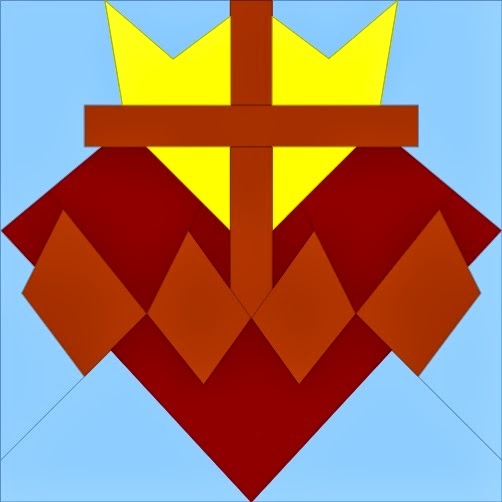 To find out more or to download the pattern, please visit: Patron Saint Quilts: Quilt Block in Honor of St. Michael the Archangel. The November issue of The Catholic Mirror is largely about the Sisters of St. Joseph, a religious community that has served the Diocese of Springfield, MA for over a century. I was educated by these sisters in both high school and college and have been blessed to know several in my adult life. I was excited to see that several of those profiled are sisters that I have known. Sr. Marlene Mucha was my Senior English Teacher in high school. I had her for two classes - English IV (British Literature) and Literary Explorations. She was also an adviser for the Literary Magazine which I was part of. She has been teaching at Holyoke Catholic High School since 1969 and I'm pretty sure she remembers every student who has walked through her doors. I know that they remember her. She is tough, but kind, and is always willing to go the extra mile, even working with me when I needed help. Much of my writing ability is due to her. Sr. Kathleen Keating was the president of Elms College in my last two years as a student and then I had the pleasure to work under her for several years as an employee. While being called to her office always felt a bit like being called to the principal's office in school, she was an incredibly intelligent, compassionate woman who treated all employees with respect. And when I gave birth to David, she even gave me a baby gift! Sr. Ruth Virginia Quinn is part of my parish. I knew her only as an older sister who volunteered in the rectory and with religious education. Turns out she does much more in the community and I was deeply touched by her story in the magazine. Sr. Catherine Leary has been a pastoral minister for almost 20 years (taking a hiatus while she served on the leadership team of the SSJs). She greets everyone by name and with a smile and knows who is in need of prayers and support and makes that happen. Our parish is fortunate to have her. Because of the subject matter included, especially in the dark days of Argentina, Pope Francis: I Believe in Mercy is definitely intended for teens and young adults rather than children. 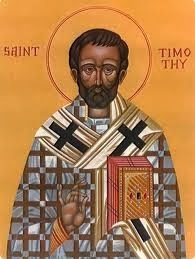 It may be helpful to have a previous acquaintance with the life story of Pope Francis as well – it is possible one might become confused in some parts without it (either that or one might read this, then go on to read more about him to learn more). 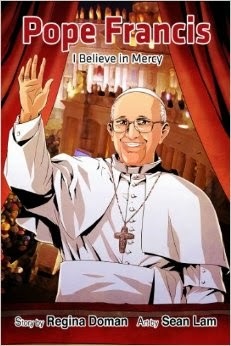 Overall, however, Pope Francis: I Believe in Mercy is extremely well done and is a way to inspire young people to follow Jesus as Pope Francis has strived to do in his own life.